Braselton, GA, May 9, 2017	(Newswire.com) - ​Sheldon Creed will make his debut in the Trans Am Series presented by Pirelli, this weekend at the world-famous Road Atlanta circuit, driving a Speedlogix/AM Ortega/United Rentals Dodge Challenger in the TA2 class for Stevens-Miller Racing. The Trans Am Series dates back to 1966 and has produced a who’s who in championship drivers, including Mark Donohue, Parnelli Jones, Tommy Kendall, Scott Sharp, and Scott Pruett just to name a few. 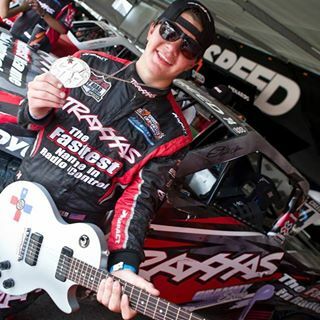 Creed — 19 years old, from El Cajon, CA, and best known for his off-road prowess and his X-Games Gold Medal and 2015 and 2016 championships in the Stadium Super Truck Series — began transitioning to pavement racing in 2016, with the goal of racing in the Monster Energy NASCAR Cup Series. Creed is tackling a diverse schedule this season with over 20 races in the ARCA Series, NASCAR K&N Pro Series East and K&N Pro Series West, NASCAR Xfinity Series, Trans Am Series, and Stadium Super Trucks Series. To build on his already-strong road racing skills, mainly acquired in manhandling the beastly Stadium Super Trucks on paved road courses all around the world, Creed will undertake a three-race program with Stevens-Miller Racing in the Trans Am Series presented by Pirelli. In addition to Road Atlanta, Creed will race with SMR at the Mid-Ohio and Road America Trans Am events. Creed plans to pull double-duty at Mid-Ohio and Road America, by also tackling the NASCAR Xfinity Series races both weekends. Because of his busy racing schedule, Creed will not have the opportunity to test the Speedlogix/SMR Dodge Challenger prior to the Road Atlanta event, nor has he ever driven on the difficult 2.54-mile, 12-turn Road Atlanta circuit, but through using the virtual training tools of iRacing, SMR in-car video, and Ross Bentley’s Speed Secrets Virtual Track Walk of Road Atlanta, he expects to be well-prepared when he straps into the car on Thursday morning for the first time. The Road Atlanta round of the Trans Am Series presented by Pirelli will begin with two test sessions on Thursday, May 11th, followed by official practice and qualifying on Friday, May 12th, and the 40-lap/75-minute TA2 Race presented by AEM Infiniti beginning at 11:30 a.m. ET on Saturday, May 13th. Sheldon Creed, nicknamed “The Showstopper,” began racing BMX at age 3 and won 2 motocross championships at age 6. He has won at least one championship every year since 2008.